A fixed orifice is a type of orifice found on air conditioner and heat pump systems. As its name suggests, the orifice is fixed, which does not allow any room for flexibility. A thermo expansion valve, or TXV, on the other hand, monitors the evaporator using a thermal sensing element with a valve that opens and closes in response via a thermal element. TXV elements are typically sold in kits and take about two hours to install. Shut off the power at the breaker box to the air conditioning or heating system. Remove the compressor cover retaining screws with a Phillips screwdriver and remove the cover. Connect the refrigerant recovery unit to the air conditioner's input port and follow the directions of the individual recovery unit to drain all the old refrigerant from the unit. Procedure and settings will vary with different refrigerant recovery units, so it is important to follow the specific directions of your individual recovery unit. Use pliers or channel locks to remove the old, fixed valve by turning it to the left. Attach the valve inlet to the swivel cap and the valve outlet to the distributor header, then tighten the connections with the pliers. Use the pliers to bend back the top right corner of the tube close-off plate, so that the external equalizer and the sensing bulb can be installed outside the coil box. Size the copper tubing so that it's the right distance from the close-off plate. The copper fitting should be close enough so that the external equalizer tube can reach the fitting while giving enough room to fit the sensing bulb. Cut out a 2-inch section in the suction line and place the copper fitting assembly from the kit between them. Braze the ends with a blowtorch. Route the end of the external equalizer fitting through the bent corner of the close-off plate and screw it to the fitting on the copper assembly with the Phillips screwdriver. Place the sensing bulb flat against the suction line upstream from the external equalizer. Tighten the hose clamps with the Phillips screwdriver. 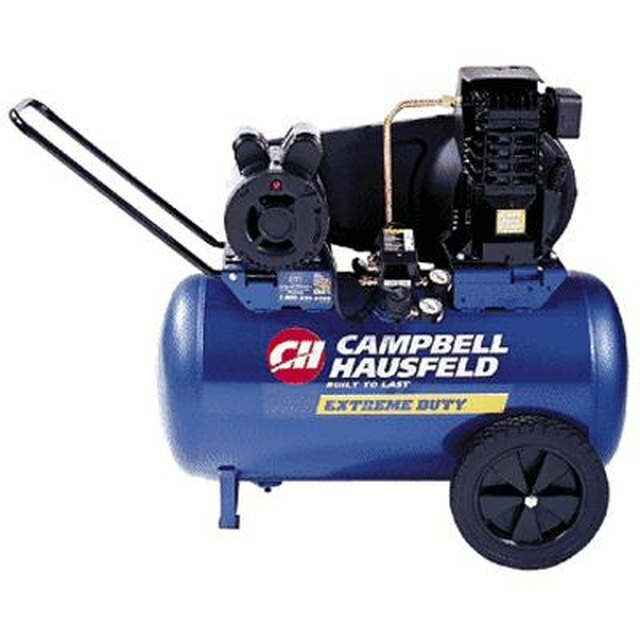 Have a licensed AC technician charge the compressor unit, as is required by law in most states. Replace the compressor cover and retaining screws.